Ryanair, Europe’s No.1 airline, today (18 Oct) launched its Cardiff Summer 2019 schedule with 2 new routes to Barcelona and Malta and 4 routes in total, as it doubles its Cardiff traffic. Cardiff consumers and visitors can now book their holidays on 4 routes for summer 2019 on the lowest fares. 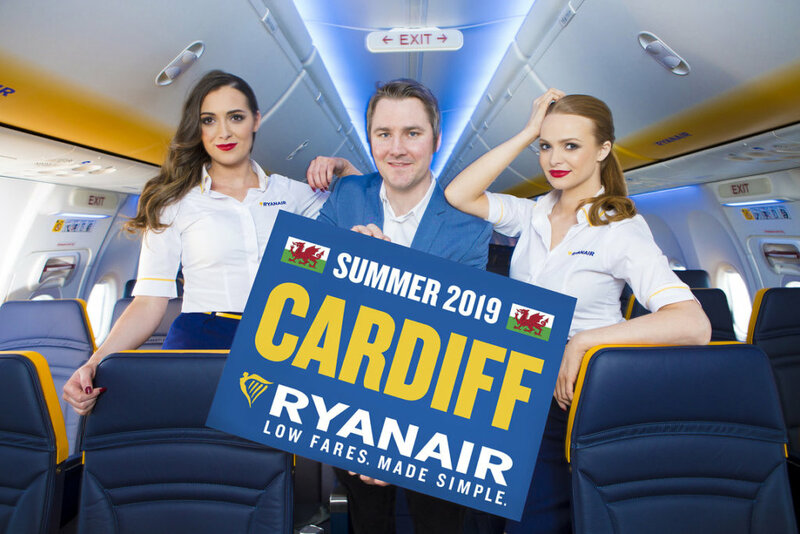 To celebrate the launch of its Cardiff S2019 schedule, Ryanair has launched a seat sale with fares from Cardiff on sale from just £24.99, for travel in April and May, which must be booked by midnight Friday (19 Oct) only on the Ryanair.com website. “We are pleased to launch our Cardiff summer 2019 schedule with 4 routes, including 2 new routes to Barcelona and Malta, as we double our Cardiff traffic. Welsh customers can now book flights to the sunshine as far out as October 2019, all on the lowest fares.